IWC 91 points. Light yellow-gold. Lemon zest, pear and honeysuckle on the nose. 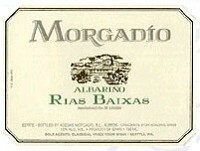 Juicy citrus and bitter pit and orchard fruit flavors are firmed by dusty minerals, which add refreshing lift and incisive character.